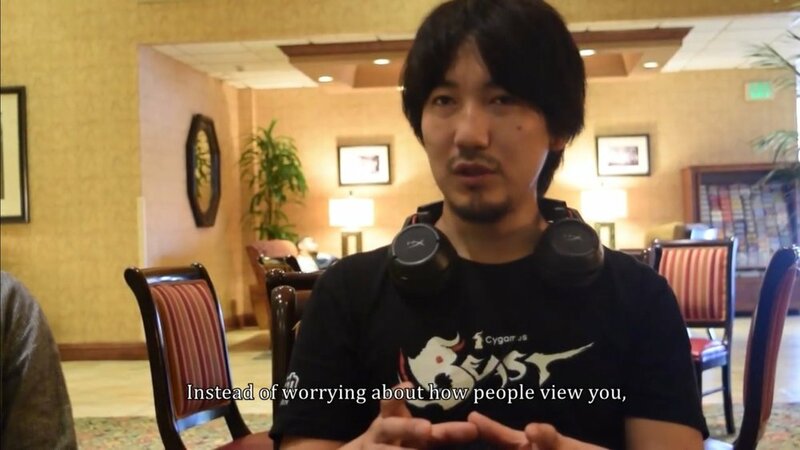 Few people have been around the competitive Street Fighter scene — or eSports in general — longer than Daigo Umehara. Daigo, also known by his nickname, “The Beast” made his debut in the nineties when he was still a teenager, and has been a fixture of the scene almost continuously since. Even during an absence in the early 2000s which was a period of self-discovery, Daigo dominated the conversation. Not only has he been a member of the community for almost 30 years, but for almost all of that time he has been arguably the top player, as well as being the first Japanese pro, and one of the faces of competitive gaming. Anyone who has been at the top of their field for decades is going to have some interesting stories and ideas, and Daigo is no exception. He first hit the global stage during EVO 2004, the top fighting game tournament in the world. It was there he pulled off the now-infamous “Moment #37”, cementing his place on the throne. I think the clip of the event does the best job illustrating this. Even if you’ve never seen a match of Street Fighter, or even heard of the game, I think this clip conveys a sense of wonder. In this version of the game, a character can parry an opponent’s move by moving the joystick in the direction of the other player on the instant their attack would hit. By doing so, your character doesn’t take any damage from the attack, unlike while blocking. In this clip, Daigo is playing as Ken, the blond fighter in white. He’s facing Justin Wong, the top American player in the world and still a tremendously formidable player, who’s playing as Chun-Li, the woman in blue. Daigo’s health was so low that if any attack hit him, he would lose. He suspected Justin would try and finish the round with his super move, so he figured his only chance was to parry every single move of the combo, and follow up with his own, all with no margin for error, and backed into the corner. It’s without question that Daigo is one of the most skilled players, even so far to have been referred to as the god of execution (execution meaning the ability to pull off a move). I’ve been following him for some time, partly for his skill, and partly due to his enigmatic nature. This past week, I remembered that Daigo had written a book, called “The Will to Keep Winning”, in which I assumed he spoke about his successes and how he accomplished it. I decided to read it, in hopes of more pieces of wisdom like from the memes, direct from the source. It’s a pretty short book, clocking in at around 110 pages or so on my Kindle. The book is broken up into very small sections on a topic, like motivation, which last around a page or two each. He writes about anecdotes from his life and his childhood, and the lessons he learned from these interactions. Other sections cover a more broad topic, addressed through hypothetical situations or attempts to convey experiential knowledge through writing. His lessons are applicable not only to fighting games or competition but many facets of life. In one of the foundational sections, he talks about what a naturally smart person his sister is, and how only considerable effort can beat pure talent. In many ways, effort becomes the cornerstone of the work. His theory is that often the one who comes out on top is the one who puts in the most effort, so that’s what he resolves to do. He wants to always put the most amount of time in, so he can be best prepared to face the challenges that lie ahead. "He’s not trying to be the best Street Fighter player in the world, he’s trying to be the best Daigo Umehara he can be." Although, he’s not advocating for overwork. He talks about how self-inflicted pain (say from practicing too much, or not eating or sleeping enough) can feel like progress, but actually is just suffering. He talks about tournaments in his youth in which he burned himself out on trying to practice upwards of 15 hours a day and not sleeping for. In those moments, he didn’t succeed, but they showed him a valuable path forward. In one of my favorite sections, he talks about working for only three hours a day. He says three hours a day are all that is necessary to improve yourself and make progress towards your dreams. This is tremendously important. Three hours can seem like a lot in a busy life, and it’s by no means the minimum, but in a culture that values working to the brink, understanding a healthy and sustainable level is important. Sustainability is another of his key tenets, and lead to the title of the book, “The Will to Keep Winning”. The key word in there is keep. He’s not telling you how to push your way to the top for a moment of glory before falling to the wayside. He wants sustained success. 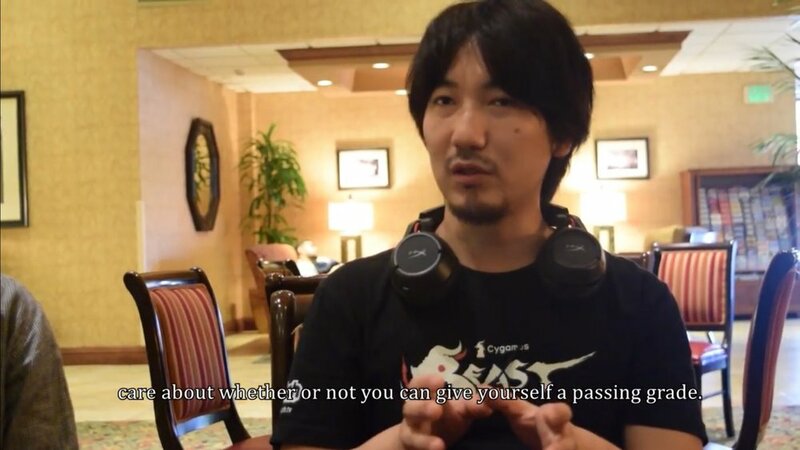 Daigo takes this in a few different angles, emphasizing picking a goal that you care about even without the promise of riches, something you’re willing to do day in and day out. He writes about working towards the future, towards continued success instead of aiming for a single award or win. In fact, wins aren’t Daigo’s goal at all. Of course, as a competitor, he strives to achieve, but he sees wins and tournament success simply as markers for his personal development, which is his true goal. He’s not trying to be the best Street Fighter player in the world, he’s trying to be the best Daigo Umehara he can be. Street Fighter is the conduit, but the principles apply to anything. That is perhaps the most important message he has in the book. Our society is heavily weighted towards equating people with their jobs, or their output. People ask “what you do” in introductions as frequently as they ask names, and perhaps sooner. Even on the creative / artist side of the line, it can be easy to conflate ourselves with the work we strive to create. But there’s more to life than one passion, and more to ourselves than our goals. We have to cultivate our gardens to become the people we want to be.